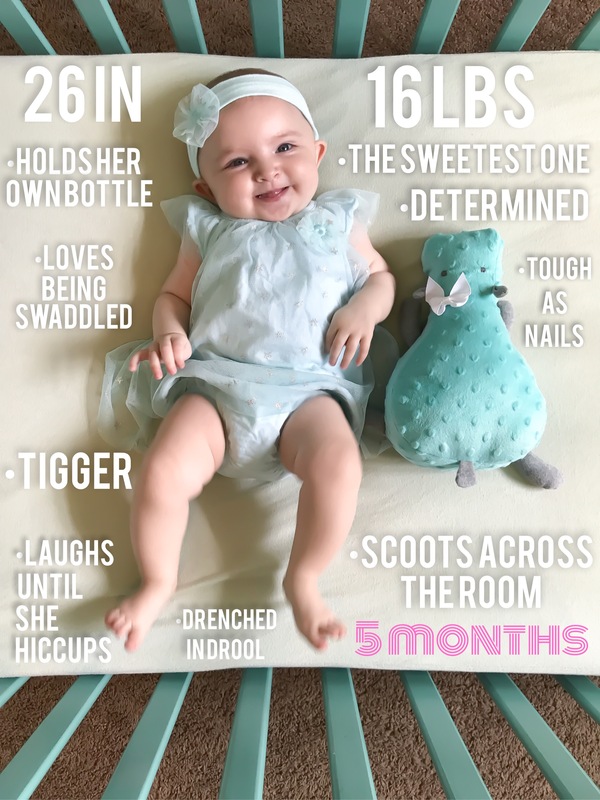 Our littlest baby turned 6 months old yesterday, so I’m celebrating by writing her 5 month blog post! Haha! And then next month after her 6 month appointment, I’ll write her 6 month post….hopefully. Happy 5 (and 6) months to you, Abi Marie! What a joy you are to us, we can’t imagine our lives without you. You’re such a gift!! !